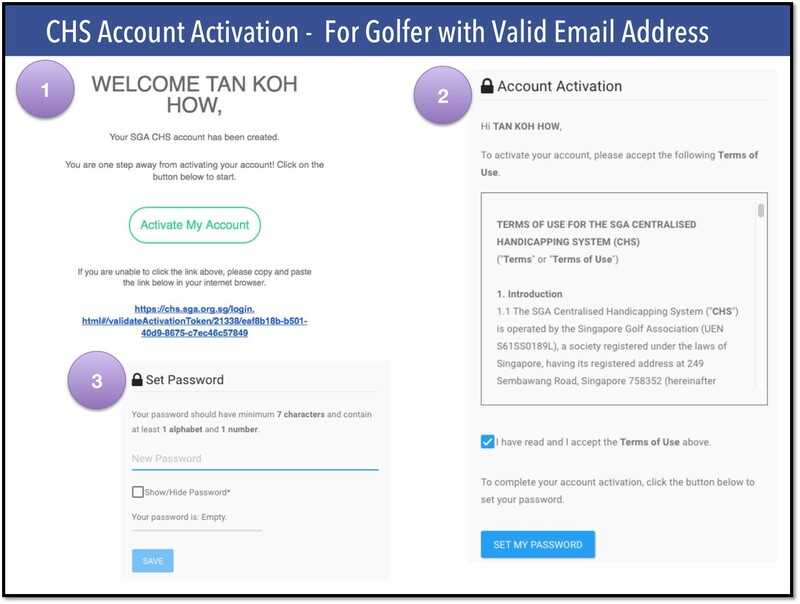 Singapore Golf Association (SGA) implemented a Centralised Handicapping System (CHS) on 4 August 2016. This system provides a modern and unified platform for golf handicapping, allowing golfers to post their scores anywhere on the go via the online portal or mobile app. After registering for an account, members will receive an activation email from SGA and are required to activate the account to utilise the facility. For more information regarding post-registration, please click here – Golfers’ Frequently Asked Questions.